A Diamond battery, just like the Shirley Bassey song, really last forever. Scientists at the University of Bristol in the UK have made a diamond battery with a potential to turn thousands of tons of problematic nuclear waste into clean energy. The team, which includes physicists and chemists, have grown a man-made diamond that once placed in a radioactive field can generate a small electrical current. It's like something out of a James Bond film. 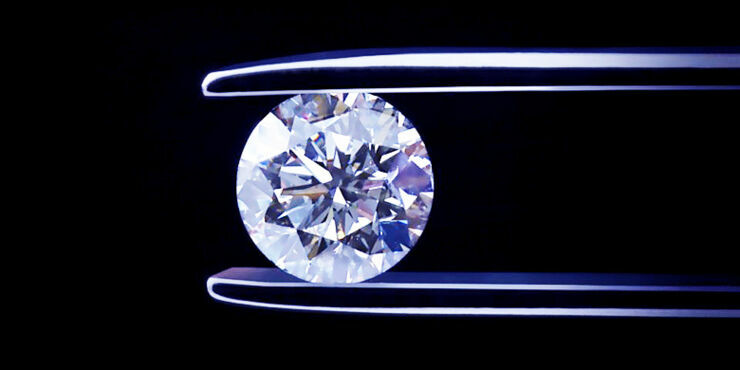 These diamond batteries could, in theory, actually last forever. "The development could solve some of the problems of nuclear waste, clean electricity generation and battery life." say the researchers. Most electricity-generating tech uses energy to move a magnet through a coil of wire to create a current. But the man-made diamond battery can produce a charge simply by being in close proximity to a radioactive source. “There are no moving parts involved, no emissions generated and no maintenance required, just direct electricity generation." says Tom Scott, Professor in Materials at the University. "By encapsulating radioactive material inside diamonds, we turn a long-term problem of nuclear waste into a nuclear-powered diamond battery and a long-term supply of clean energy." The scientists demonstrated a prototype ‘diamond battery’ which uses Nickel-63 as a radiation source. They're now working to improve the efficiency by using carbon-14, a radioactive version of carbon. It's found in graphite blocks used to moderate the reaction in nuclear power plants. By extracting it from them it decreases their radioactivity and so would reduce the cost of and make it safer to store this type of nuclear waste. Because carbon-14 emits a radiation that is quickly absorbed by solid material it makes it very dangerous to touch. So by encasing it in diamond it means none of the radiation can escape, and makes it safe to handle. As well as disposing of nuclear waste safely this new “Diamond Age” of battery power would also revolutionize powering our devices in the long term. "Using carbon-14 the battery would take 5,730 years to reach 50 per cent power, which is about as long as human civilization has existed." say the researchers. This is the world's most durable battery, it might not be a diamond battery but it's been working since Napoleon was a child. In a laboratory at Oxford University sits the Oxford Electric Bell, which has spent an incredible 176 years constantly ringing. And no-one's quite sure what the battery that powers it is made of. How long will it keep running for? No one really knows. So just imagine how long a diamond battery will run for.